Stakeholders and material topics - Formosa Taffeta Co., Ltd.
Based on the five major principles of the AA1000SES, matters and stakeholders that are either impacted by the Company’s activities, products, or services or may greatly impact the Company are first discussed and determined, and then stakeholders’ concerned topics are identified through surveys. 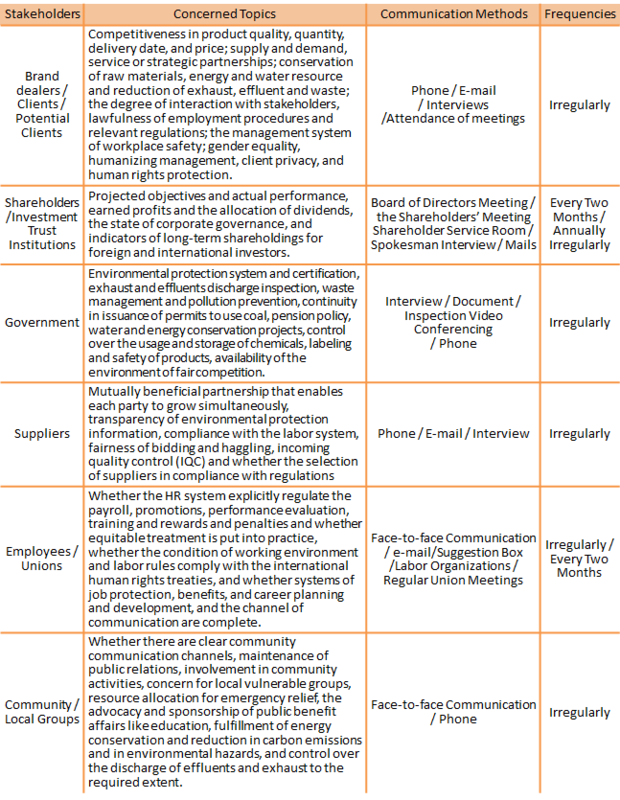 The aforementioned, communication methods and communication frequency are summarized as follows. 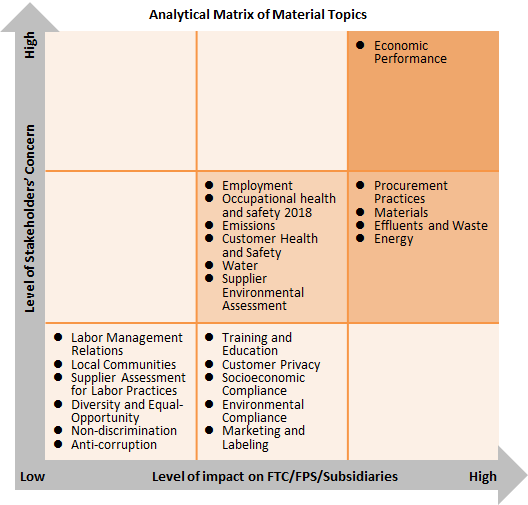 Material topics of the above graphic, identified through discussions in meetings, are the thread of this report; the identified material topics and their corresponding internal/external boundaries are shown as subsequent. A survey is conducted to gather stakeholders’ concerned topics for the identification of material ones, and where they locate in the right matrix is based on 109 effective samples. 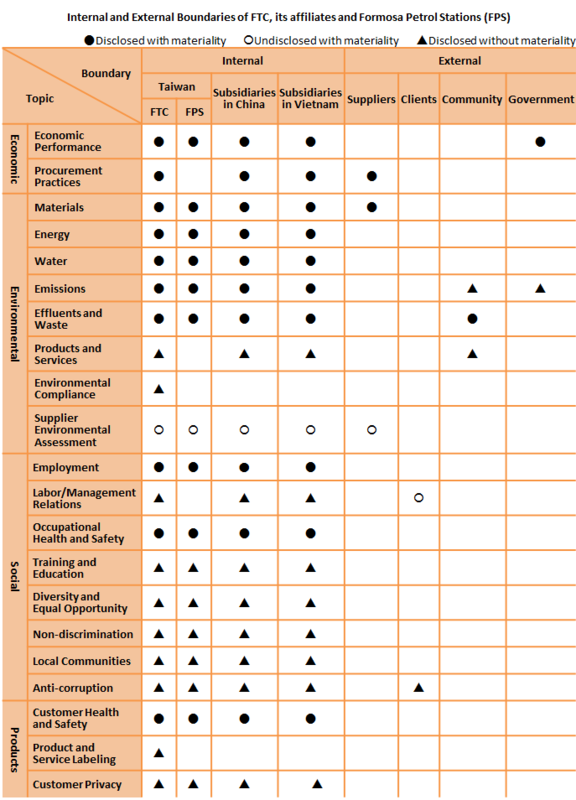 The framework of this survey is designed according to the GRI Standard, and the stakeholders will check the corresponding level of their concern. The topic with highest concern is given 10 points; otherwise one point is given. The number in total of the filtered topics are 11 items, located in the upper right, upper middle, center, and upper center cells of the this Nine Halls Diagram.